Ramin "The Machine" Bakhtiari is now providing lessons to anyone in the Southern California area. This includes Orange, Riverside, San Bernardino, and San Diego Counties. If you are in these areas and would like to take personalized pool lessons to improve your game, please contact Ramin today. 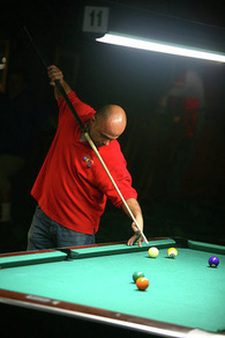 Ramin is offering lessons to players at any level of skill. Whether you are a beginner who has never picked up a pool cue, or a seasoned player who wants some advice from a local champion, Ramin can help you.